While physical therapy can occasionally be uncomfortable, the goal is to reduce pain and restore function as safely and effectively as possible. Stretching, exercise, resistance training, popping, needling, and joint mobilizations all can sound a little intimidating to an individual who is about to begin physical therapy. Some patients have even been known to deem the acronym “PT” actually stands for physical torture rather physical therapy when it comes to their rehabilitation. Most of heard horror stories of how their friends physical therapist “tried to kill them” with lamenting of the pain associated with it. However, the same people are happy to sing a PT’s praises when their rehabilitation is complete and give the proclamation that “physical therapy really works.” So, is physical therapy painful? The best answer is yes and no. During the initial evaluation, a therapist will have to reproduce some of your symptoms in order to determine what is causing your problem and develop the best course for your rehabilitation. A therapist needs to see precisely which movements cause your lower back pain or what position your shoulder is in when it causes you the most difficulty. Therapists must also assess where your movement deficits are and will measure your range of motion and strength which can be uncomfortable for patients. This discomfort is not prolonged nor is it without cause. The therapist will do their best to minimize any painful movements or provocation of symptoms, and this is a necessary step in order to get you back to the things you enjoy. Contrary to popular belief, physical therapists do not enjoy seeing their patients in pain. That is kind of why most went into this line of work—to help people reduce pain and feel better. There are different types of pain when going through physical therapy. Occasionally, when working muscles that have not been used effectively before or stretching tight muscles, a patient may feel a stretch or soreness with the activity. 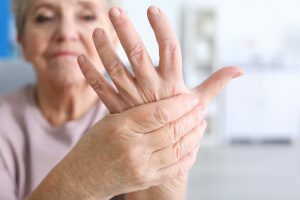 However, if an exercise or manual technique causes significant pain or reproduces symptoms, your therapist will adjust the exercise or find a completely different alternative. It is important to communicate to your therapist what you are experiencing during your exercises. Stretching or soreness are generally typical but other types of pain are not part of the regular therapy experience. Orthopedic postoperative rehabilitation are primarily the types of patients who will have complaints of pain with physical therapy. Early range of motion goals are critical for patients who have undergone certain shoulder and knee surgeries, and that movement is often uncomfortable for patients. 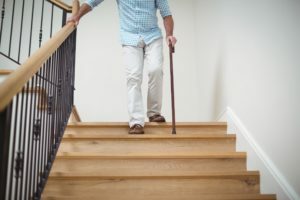 Surgical patients are very sore to begin with and coupled with the movement that is necessary in order to make a full recovery, it can be tough experience. Take for example a patient who has had a total knee replacement. There is a short window of time for range of motion to be restored. If full functional range of motion is not achieved through physical therapy, it can lead to continued knee pain and even develop into hip and back pain down the line due to compensation for poor gait patterns as the knee is unable to achieve the necessary motion to walk without a limp. That is a losing situation for everyone involved! Your physical therapist will push you to help you achieve your goals and will do everything they can to make you as comfortable as possible while you are working. Ask anyone who has successfully completed post-operative rehabilitation and chances are they will tell you how any discomfort they had was worth getting their quality of life back following surgery. Our goal at Bourassa and Associates is to improve your quality of life and get you back to the things you enjoy. Our university trained therapists are highly skilled in many techniques to help reduce your pain and make your rehabilitation experience as comfortable as possible. Modalities such as electrical stimulation, ultrasound, cryotherapy, and heat as well as manual techniques such as massage, dry needling, and mobilizations can all help to reduce your pain as we improve your function. Do not let the fear of pain with physical therapy keep you in agony with your injury or chronic pain. Contact Bourassa and Associates to set up your assessment to help you achieve long term relief to your pain. The small amount of work is well worth the lifetime of improved function and mobility.